This court case could go down in history as one of the first rulings to hold a giant multinational accountable for its actions overseas. Imagine this: behemoth oil company Shell on one side and a handful of Nigerian farmers, backed by the non-profit environmental organization Friends of the Earth, on the other. The landmark case took shape in 2008, when farmers from the Niger Delta accused Shell of poisoning local fish ponds and farmland with faulty oil pipelines. The plaintiffs demanded the oil giant should repair and maintain the leaking pipelines - some of which are decades old - as well as to clean up the mess in the affected regions. 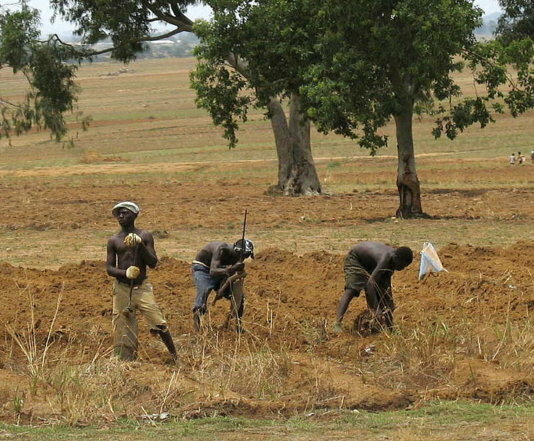 The accusing farmers come from three villages in the Niger Delta: Goi, Oruma and Ikot Ada Udo. 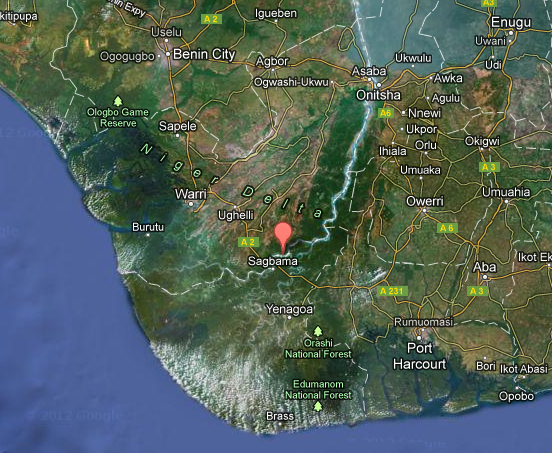 The Niger Delta has been plagued with oil pollution for several years. In 2009, the Dutch judiciary recognized the strength of the accusations, paving the way for an actual trial of the case in court. Attempts made by Shell to undermine the allegations remain somewhat inconsistent. Shell initially contested the Dutch ruling by insisting that its Nigerian subsidiary was legally responsible for what happened in the country. The company's Vice President for Environment, Allard Castelein however, argued that the majority of spills in the time between 2004 and 2007, occurred due to cases of illegal theft and had nothing to do with his company's actions. We say there was a spill, it wasn't our fault, we cleaned up nevertheless and that's what happened," Castelein said at the court (Al-Jazeera, 2012). Royal Dutch Shell has been active in Nigeria since the late 1950s. In the past, locals and numerous activists have continuously criticized Shell for polluting land as a result of oil spills as well as the corporation's controversial relations with the country's government security forces. US embassy cables released by WikiLeaks in 2010, refer to conversations between a top Shell executive and US diplomats, which suggest that Shell managed to infiltrate all of Nigeria's major government ministries to extent its influence. To make matters worse, a recent Financial Times article (November 12 2012) brought attention to a transparency issue involving a 1.1 Billion Dollar payment made by Shell to the Nigerian government, which was passed on to Malabu Oil & Gas, a company controlled by the former oil minister under late dictator Sani Abacha's regime. The ex-minister, Dan Etete, was convicted of money laundering in France in 2007. It is believed that Shell made the payment as part of a deal with Malabu Oil & Gas that would make the Nigerian oil company give up control over a lucrative deepwater concession. The Nigerian farmers and human rights & environmental activists around the world are hoping that the court case will bring Shell to justice. Although a judgement is not expected before the end of this year, Nigeria's politicians are currently deciding on the stance they want to take regarding the possibility of issuing a 5 Billion Dollar fine against Shell. Moreover, there is talk of a new law that would hold oil firms accountable for any kind of environmental pollution in the future.